If you face allegations of a probation violation in Colorado, having a knowledgeable criminal defense attorney on your side can make all the difference in achieving a fair resolution. The Denver criminal defense lawyers at Wolf Law understand what’s at stake if you’re accused of violating probation, including jail time and other penalties. If you were arrested while on probation or otherwise charged with violating your probation terms, please call Wolf Law at 720-479-8574 for your free consultation. If your probation officer reports a violation to the court, the assigned judge may issue a warrant for your arrest. Warrants for probation violations in Colorado and many other states are often issued with a “no bond” provision. This means you cannot be released from jail by posting bail until a bond amount is established by the presiding judge. It is advisable to work with an experienced attorney who can request a bond hearing and, if necessary, fight for a bond reduction. Probation violations are often the result of a misunderstanding of probation conditions or technicalities related to probation orders. In some cases, probation violations may arise from personality conflicts with a probation officer. It’s important to understand that a probation violation is a separate criminal offense from the one that led to probation. The standard of proof for a probation revocation is likewise less than the burden of proof necessary to obtain a conviction for the initial criminal act. A probation revocation hearing is conducted by a judge, and there is no jury. 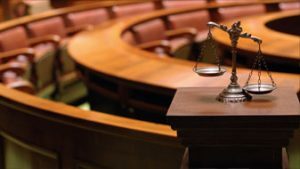 Because the judge does not have to follow the same rules of evidence as in a criminal trial, it’s critical to have the representation of a skilled criminal defense attorney. The Denver criminal defense attorneys at Wolf Law are dedicated to achieving just solutions for our clients, and we will work tirelessly on your behalf. If you’re confronted with probation violation charges, please contact us today to arrange a free consultation with one of our dedicated lawyers.